There could soon be even more gun controls in New York. 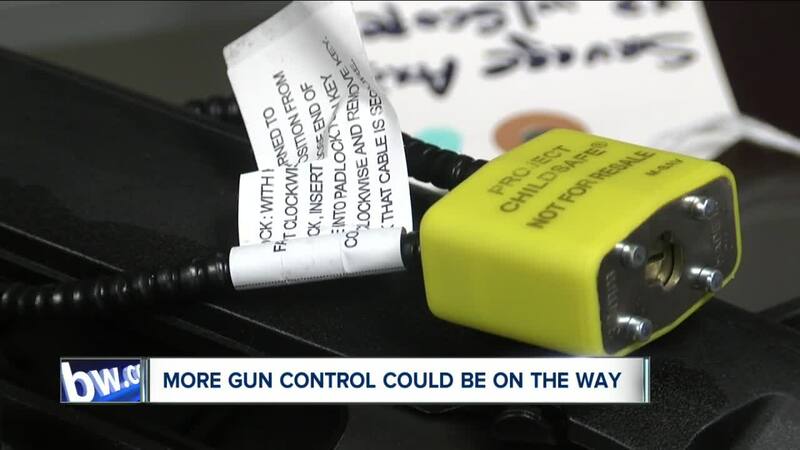 NORTH TONAWANDA, N.Y. (WKBW) — New York gun owners could soon be required to lock up their guns whenever someone younger than 16 is home. A bill passed the New York legislature on March 4th. It makes it a misdemeanor to not put your firearms in a gun safe or put a physical lock on it. Gun control advocates believe this will curb serious at-home accidents involving children. "Why would you leave a gun accessible to a child under a mattress or under your pillow or in a drawer when your not home," Paul McQuillen, the Upstate coordinator of New Yorkers Against Gun Violence, said. An Associated Press-USA Today analysis found gun accidents kill at least one child in the U.S. every other day. "If there's a child in the home, keep your guns locked up. Keep them stored away," McQuillen said. However, second amendment advocates think this isn't an effective bill. "This is a feel good piece of legislation with no real mechanism of enforcement," Steve Felano, a gun rights advocate, said. Enforcing this bill would require police to have reasonable cause to believe gun owners aren't properly securing their weapons when children are home. Plus, some say this could make it harder to protect oneself during an emergency. "You won't be able to get your firearm out in time from storage should someone break into your home," Felano said. Gun safes can cost anywhere from $100 to a few thousand dollars. Locks are cheaper and max out around $20. Experts believe Governor Cuomo will sign the bill into law soon since he has already approved so many other gun control measures.